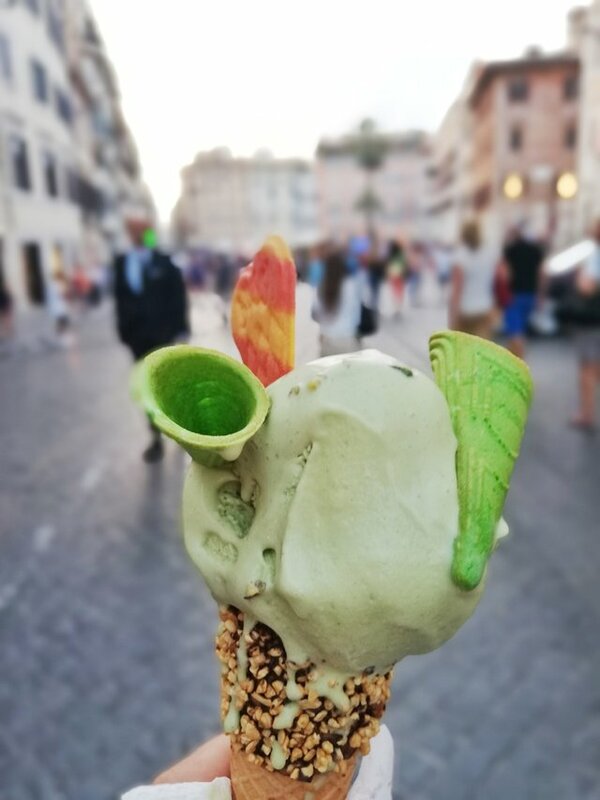 Florence may be its birthplace, but Romans are truly consumed with gelato. From the ratio of milk to cream, to how the mixture is churned, to the flavors and textures, there are specific distinctions between ice cream and gelato. Two of the main ingredients in both ice cream and gelato are milk and cream, but it is the amount of each that results in differing desserts. As the name implies, "ice cream" contains more cream than milk, whereas gelato is made with a greater proportion of whole milk to cream. Another ingredient that distinguishes the two is eggs; ice cream includes egg yolks while gelato is completely void of eggs.